This exquisite hand-blown clear crystal with inside blue, red, white or black color, vase mounted on a stylish marble. 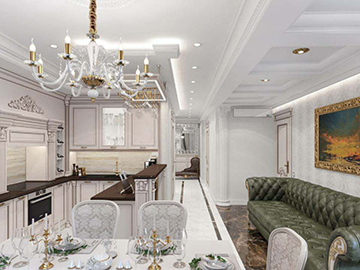 The base is made from top-quality Italian marble. 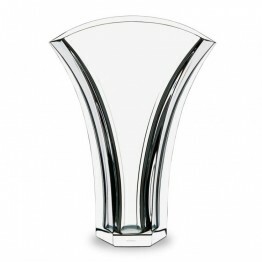 The production of those vases is a real technical featas it is very difficult to blow vases of that size. 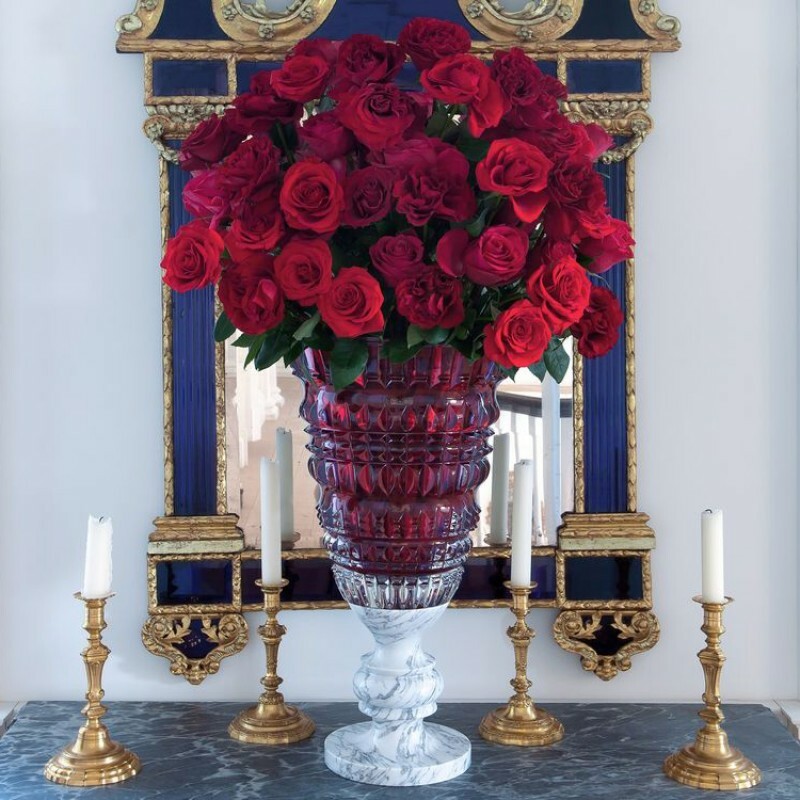 Every vase is numbered and signed Baccarat and Marcel Wanders. A system of assembly by gravity allows to assure a good stability of the two parts. 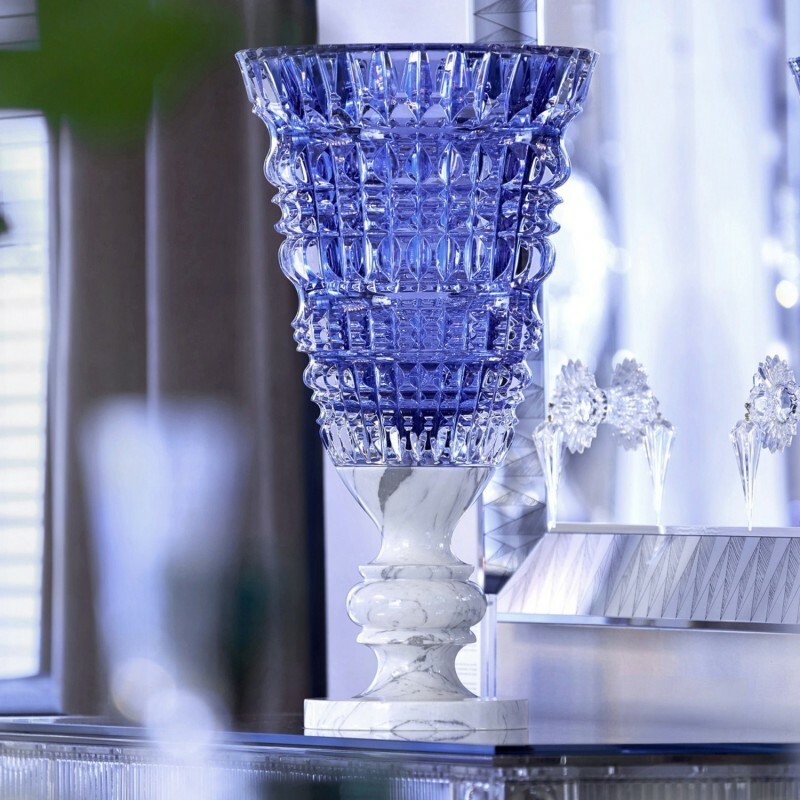 Marcel Wanders has drawn inspiration from classic pieces of decorative art and from his own Baroque world in creating a new collection of vases which is appropriately named New Antique. 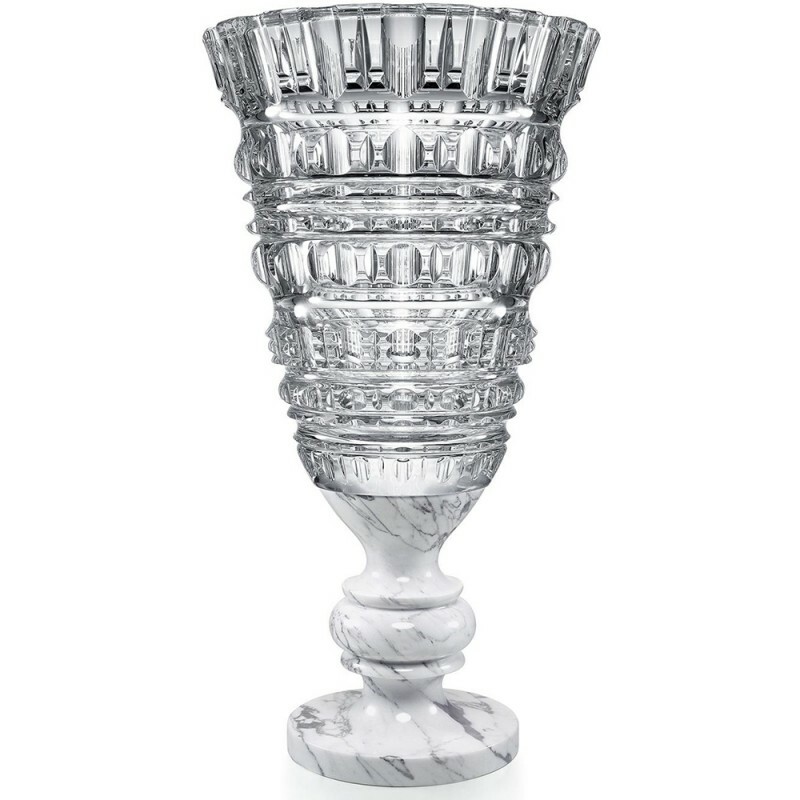 Each vase is blown and decorated with deep geometric cuts before being mounted on a black Italian marble base, much like a trophy. 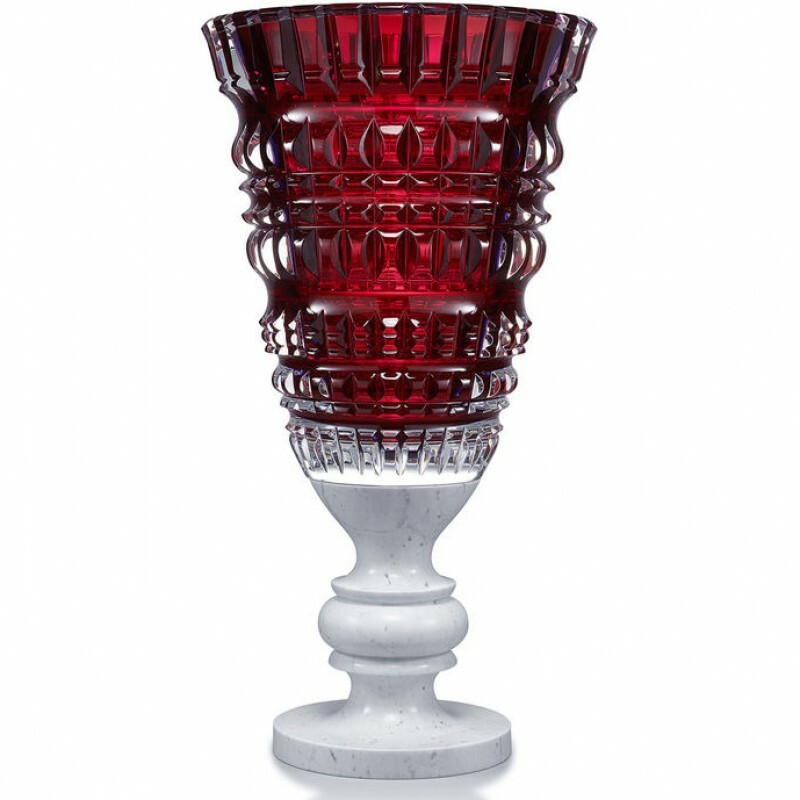 This clear crystal vase, decorated inside with black lacquer and criss-cross bevel cuts, is available in a limited edition of 99 numbered pieces signed Baccarat and Marcel Wanders. 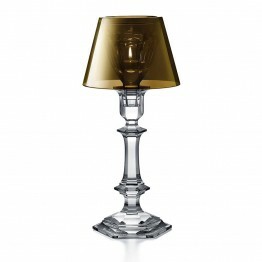 It is an exquisite piece that will lend sumptuous splendour to any room.